Compact Monochrome Laser Printer for Homes or Home Offices The Brother™ HL-2240 is a monochrome laser printer that offers fast printing at up to 24 pages per minute and high-quality output for producing professional documents including: letters, reports, spreadsheets and more. It features a stylish, space-saving design that complements virtually any environment. 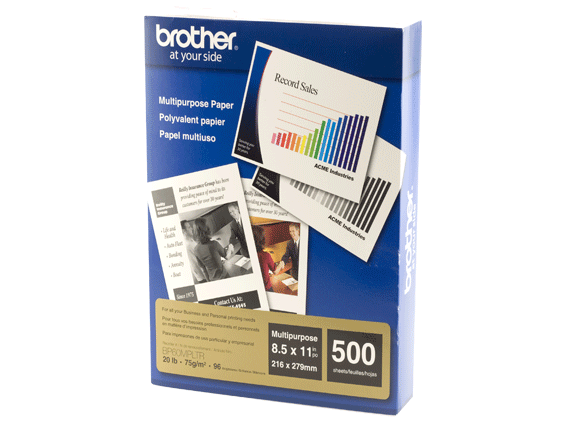 In addition, it offers convenient paper handling via an adjustable, 250-sheet capacity tray‡. To help lower your operating costs, a high-yield replacement toner cartridge‡ is available. High-quality output. With a print resolution up to 2400 x 600 dpi, the HL-2240 produces professional output with crisp text and excellent graphics. Convenient paper handling. The Brother HL-2240 can meet all of your printing needs via an adjustable 250-sheet capacity paper tray‡ that handles letter or legal size paper and a manual feed slot for printing envelopes and letterhead. Outstanding customer support. The Brother™ HL-2240 offers a 1 year limited warranty with free phone support for the life of your product.